Passive solar design relies upon the movement of the sun’s path in the sky through the seasons. The Earth is rotating around the sun, however, as our planet spins and rotates around the sun, it appears to the inhabitants of Earth that the sun is moving across the sky. Thus, it is often referred to as the ‘movement of the sun’. 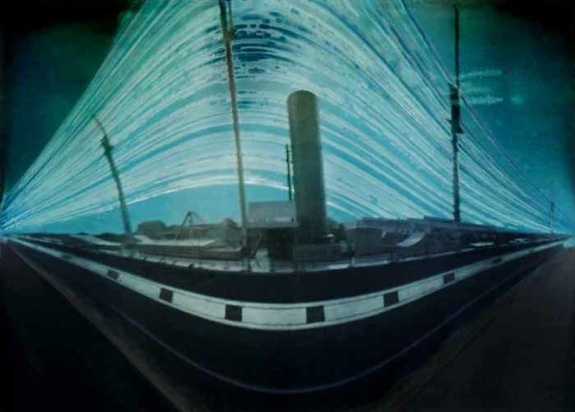 Pinhole photography artist Justin Quinnell strapped a camera to a telephone pole and recorded the sun’s movements from December 17, 2007, to June 21st, 2008. In the picture below, trace the shortest arc (representing the path of the winter sun) and contrast that with the longest and highest arc that shows the sun’s path on the summer solstice. The sun travels its shortest and lowest arc through the sky on the winter solstice. The low winter arc allows the sun’s rays to reach deep into a structure to warm it on a cold winter day. On the summer solstice, the sun travels its highest and widest arc through the sky. If the building is designed with an overhang or some type of blocking mechanism, the sun heat energy will be blocked and the building will stay cool. When considering a retrofit for my old stone house, I took pictures of the sun, as well as of how the sun’s light interacted with the house on both the winter and summer solstices. 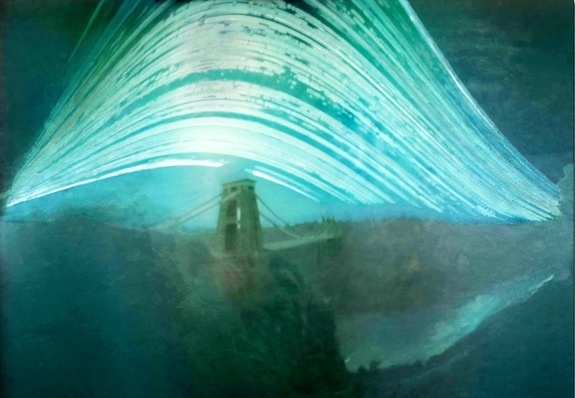 In regard to these pictures, amazingly, a single sheet of photography paper recorded the sun’s travels for a year through a 25mm aperture in a handmade pinhole camera made out of a empty drink can. While the sun appears to rotate around us, in actuality, the earth is rotating around the sun. The video was edited by bulletpeople, with the original video (below) taken by Jose Francisco Salgado, Ph.D., and Stephan Guisard (amazing pictures of the universe) by NikoBustos. The fact that these pictures were taken on a horizontal axis, it really doesn’t show in a true perspective unless you realize it’s showing north – south movement instead of vertical. The picture is showing the sun’s movement from the eastern horizon to the western horizon (the timelapse photo was taken in the UK) and is showing the vertical and horizontal movement of the sun through the seasons as it appears to ‘move’ to us, the inhabitants of planet Earth. The lowest vertical arc took place on the winter solstice and the highest range in the vertical arc took place on the summer solstice. The Earth is actually rotating around the sun, thus there is no real north – south movement of the sun. You’re correct in that the pictures are indirectly indicative of the subtle tilt of the Earth from north to south. I suppose that it is relative to one’s perspective. I would like to see how the earth and sun moves in relationship to one another as well as the universe; not from our perspective, but from reality. I want to understand the reasoning and the cause of the suns repetitive movements(appearing as east to west daily movements and north to south-south to north annual movements). The sun doesn’t move (in general). The Earth revolves around the sun. As it travels around the sun, the Earth spins on the north-south axis (every 24 hours it completes one revolution) which gives us (on Earth) the impression that the sun rises in the east and lowers in the west. Your question about the universe is a good one, and no one knows the exact rate that the universe is expanding. We’re only familiar with what’s immediately around us, although we’re learning more about our solar system too.